Join the challenge to read the entire Book of Mormon in the same 85-day period that the Prophet Joseph Smith translated it! The annual Book of Mormon Translation Challenge begins tomorrow, April 6 and runs through June 30. For more information, see the website The Book of Mormon Translation Challenge, the Facebook page, or join the The Book of Mormon Translation Challenge Facebook event to receive updates and join the conversation. When sharing on social media, please use the hashtag #BOMTC. 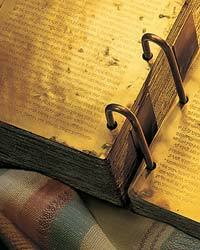 The Book of Mormon was translated from April 7 to June 30, 1829. Do you have what it takes to read the book in that amount of time? If so, begin reading tomorrow, and complete the book by June 30. I feel like this is misleading. The picture and quote make it seem as if President Nelson recently issued this challenge. 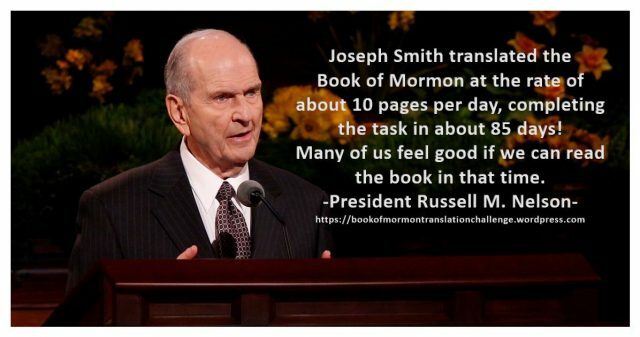 President Nelson was Elder Nelson when he said those words, and they were not issued as a challenge, but as a statement of amazement for how quickly the book of Mormon translation was completed. Thank you for sharing the #BOMTC with your readers! I hope everyone will enjoy the experience.